Spurs face Chelsea in the last four of the Carabao Cup and have their eyes on the final but can the Lilywhites take an advantage to Stamford Bridge? Tottenham Hotspur host Chelsea on Tuesday evening in the first leg of the Carabao Cup semi-final. 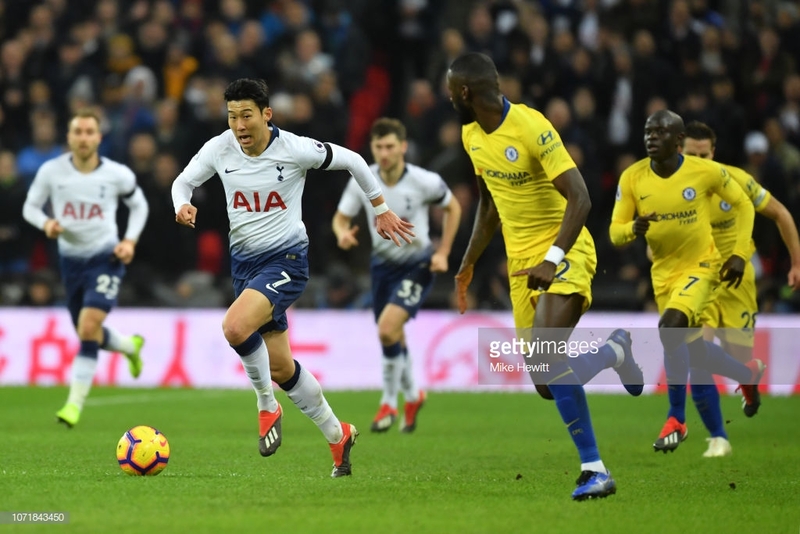 Spurs go into the game on the back of their quarter-final victory away to their north London rivals, Arsenal, whilst the Blues progressed after beating Bournemouth at Stamford Bridge. Both sides are in fine league form but a place in the final of the League Cup is at stake as both look to lift the first major trophy of the season. The two sides have a heated recent history in their previous meetings but Spurs came out victors in the past two clashes. The Lilywhites cruised to a 3-1 win at Wembley when the sides met back in November. Goals from Dele Alli, Harry Kane in the first-half and the goal of the month from Heung-min Son in the second sealed all three points for Spurs in what proved a comfortable win. This proved back-to-back 3-1 wins for Tottenham against Chelsea after Mauricio Pochettino's side clinched their first win at the Bridge in 28 years back in April. However, Chelsea will be well aware of what to expect and the tie offers a second chance with the return leg being held in SW6 in the week beginning 21 January. Lucas Moura is added to Spurs' already extensive injury list after suffering a knee injury in the 7-0 win against Tranmere Rovers. Jan Vertonghen and Mousa Dembele remain unavailable but are said to be continuing their recovery work. However, Erik Lamela has returned to training after missing the FA Cup rout through illness. Maurizio Sarri said he was not sure whether Willian, Olivier Giroud and Pedro will be fit enough to return on Tuesday after the trio missed the weekend's FA Cup clash through injury. The Italian did confirm Ruben Loftus-Cheek will miss the London derby after sustaining an injury on the weekend. Spurs cruised to all three points in the last meeting against the Blues, however, Pochettino is not convinced Tuesday's clash will be the same. "No, it was a very competitive game. Chelsea are a great team but of course when you win you are happy, but it's a game we enjoyed the most." The Lilywhites have a four-point advantage on Chelsea in the league but only lie one position ahead in third spot. "Tomorrow (Tuesday) is going to be a completely different game and competition. "You have to respect Chelsea because they have great players and a great squad and for me it's a team that is building to win some trophies of course" he added.